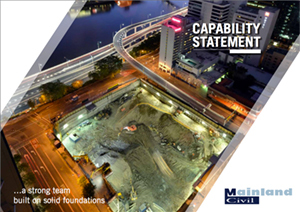 The Jewel Development consists of the construction of three multi-storey towers across the 10,000m2 site consisting of 46 storey, 40 storey and 34 storey towers with a three level basement below ground level. A striking beacon on the Gold Coast skyline, Jewel is set to become a global landmark. 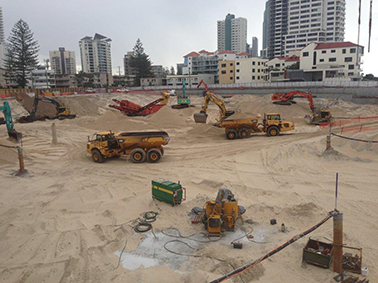 The basement excavation required the removal of approximately 110,000m3 of sand and 16,000m3 of asbestos contaminated sand. Sheet pile and contiguous pile shoring walls supported by removal sand anchors facilitated the excavation works along with a steel brace system on the north east corner. In addition to this, a seawall was constructed along the side of the site to protect against long term beach erosion. The foundation piling works involved the installation of 470 CFA piles within the tower cores and beneath the podium as well as the installation of a further 16 lower level dewatering wells to further drop the water table.